Do All Aloe Plants Have Medicinal Properties? 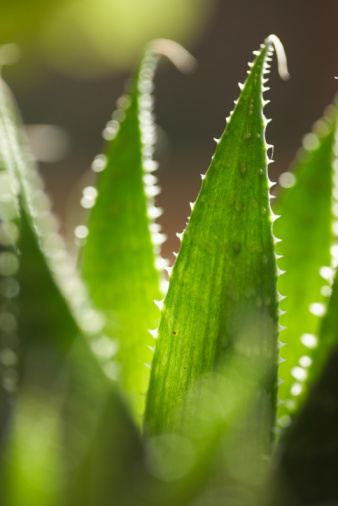 Although there are more than 300 different species of aloe, only a few have medicinal properties. 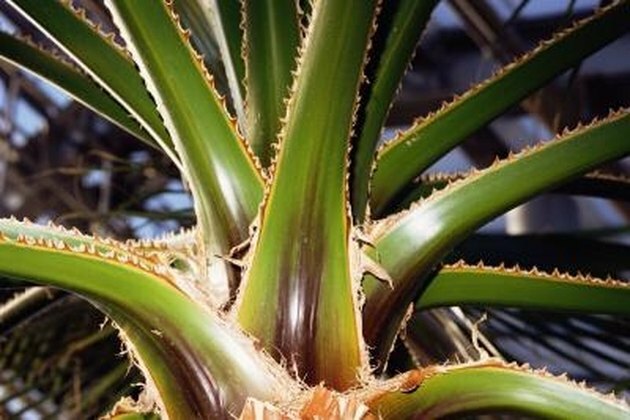 Those without medicinal properties are known as ornamental aloes. Most Aloe varieties are for not suitable for medicinal use. The most common, and most potent, medicinal aloe is Aloe vera. Aloe perryi and Aloe ferox have medicinal properties, but are not as strong and effective as the Aloe vera. This type of aloe is also known as Cape aloe, Barbados aloe and Curacao aloe. Aloe vera is most commonly used for minor burn and sunburn relief. The sap also contains anti-inflammatory properties, antioxidants and beta-carotene. When it is used internally, it typically produces a laxative effect. Medicinal aloes should not be taken internally in large doses or by pregnant women. Long-term use may cause an intolerance to aloe. Use only food-grade aloe vera juice (and no other type) internally. Do not ever use ornamental aloe varieties for medical purposes. What Are the Chemicals in Rat Poison? What is Gum of Aloe? What Are the Dangers of Isopropyl?